Nothing speaks to the identity of a country, region or neighborhood like signature local cuisine. 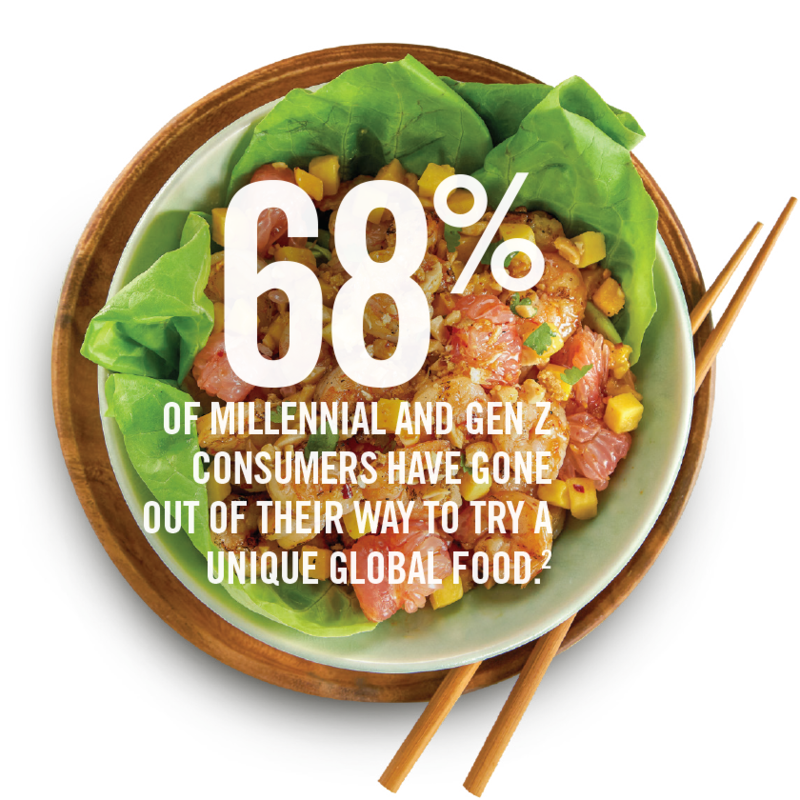 The street food category hits on such culinary hot buttons as authenticity, “food with a story” and bold flavors—the issues that today’s consumers truly care about. 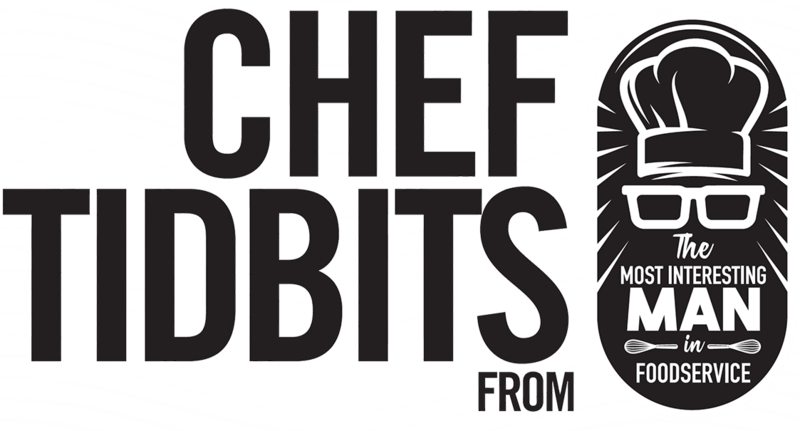 In this issue, we’ll examine how restaurants can translate the appeal of street food to more formalized menus, encouraging patrons to try something new while playing up familiar ingredients, like fruit. smoothies and ice cream, respectively. While street food has been enjoyed around the world for centuries, the category continues to evolve in creative ways. Full-service kitchens can take street food from humble to upscale with such accoutrements as house-made condiments. Start with a hot dog or sausage and turn it into an entrée that’s unique to your menu, like grilled bratwurst topped with crunchy apple slaw and blackberry-barbecue sauce. No matter how you adapt the trend to fit your menu needs, street food takes your patrons on a culinary journey they’ll never forget! 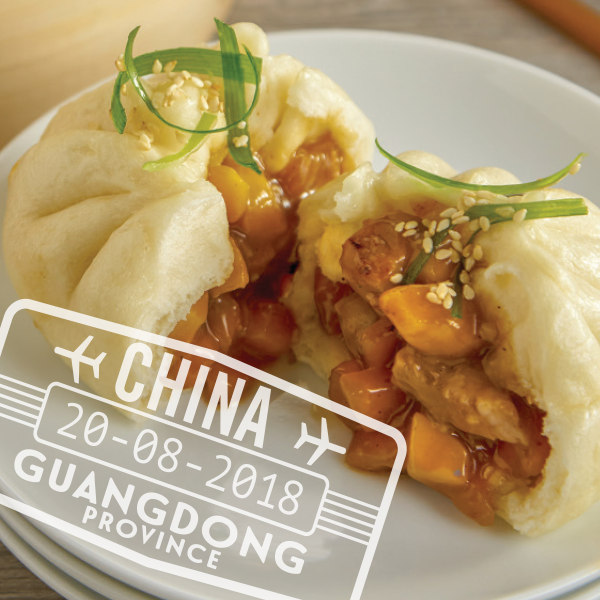 Roasted duck tossed in a peach-hoisin glaze, made with DOLE Chef-Ready Cuts Diced Peaches and DOLE Chef-Ready Frozen Peach Purée, stuffed into bao dough and steamed. 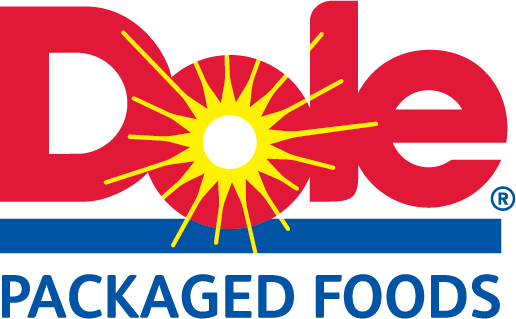 Served with a side of roasted peach soy sauce, featuring DOLE Chef- Ready Cuts Diced Peaches and DOLE Chef- Ready Frozen Peach Purée. Shaved ice sweetened with condensed milk and topped with ube ice cream, DOLE Chef-Ready Cuts Pineapple Cubes, DOLE Chef-Ready Cuts Mango Cubes, caramelized DOLE Chef-Ready Cuts Sliced Bananas, green jelly and DOLE Chef-Ready Frozen Strawberry Purée jelly gulaman, white beans, sweet red beans, coconut and toasted rice puffs. 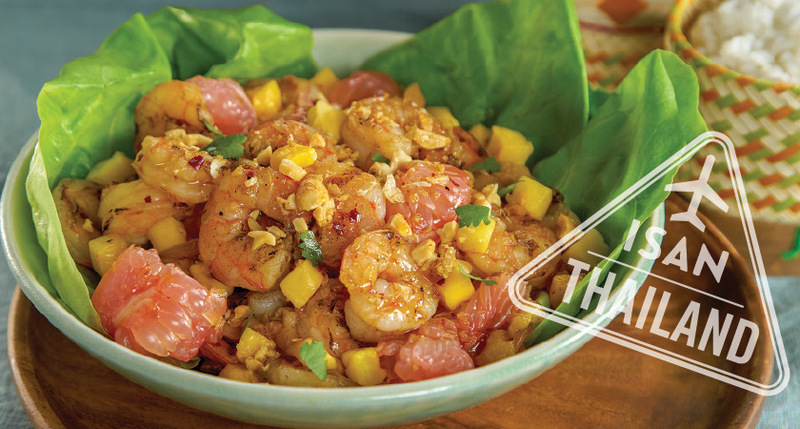 Chilled shrimp and pomelo salad, featuring DOLE Chef-Ready Cuts Mango Cubes, peanuts, fried garlic, cilantro and green onion tossed in yam dam black sauce—palm sugar, fish sauce, chili paste, tamarind and lime juice. 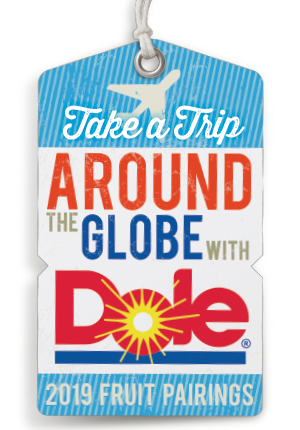 BE ON THE LOOKOUT FOR OUR NEXT EXCITING CULINARY DESTINATIONS IN Q2 - CAN YOU GUESS WHERE WE’RE HEADED? Street food is delicious in any language! If you’re looking to add new street-inspired dishes to your offerings, give these tips a try. CREATE A SENSORY EXPERIENCE. 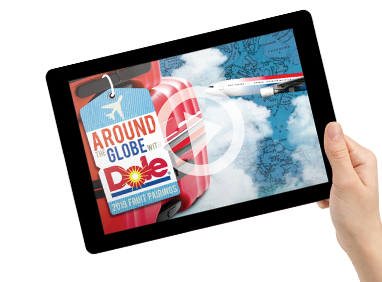 Take your guests on a culinary adventure by delivering flavor in a more complex way. Consider Chinese cuisine, in which the nuances between regional specialties are shown through a mix of sweet, salty and spicy ingredients—such as chilies with a numbing or tingling effect. START WITH A FLAVORFUL FOUNDATION. 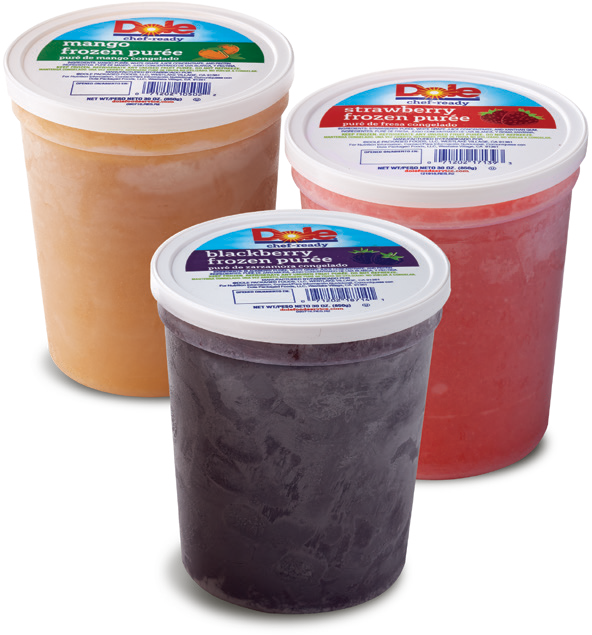 DOLE Chef-Ready Frozen Fruit Purées are ideal as the base for sweet or savory glazes, finishing sauces and condiments that enhance your street food dishes. QUICK SERVICE, SLOW PREPARATION. Time-tested prep methods like pickling, curing, fermentation and margination are all a part of even the smallest street vendor’s repertoire. 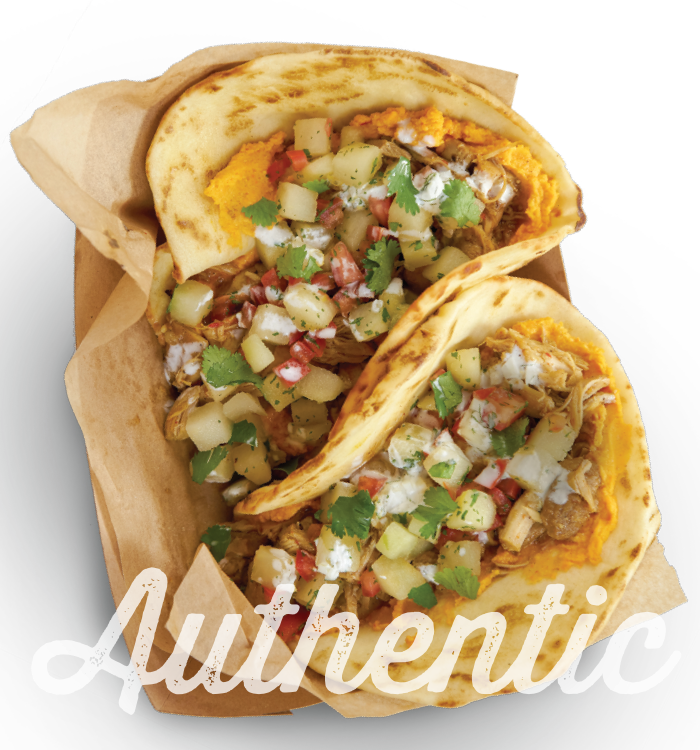 Be sure to consider how simple methods can deliver the most authentic flavors. AUTHENTIC, NOT INTIMIDATING. 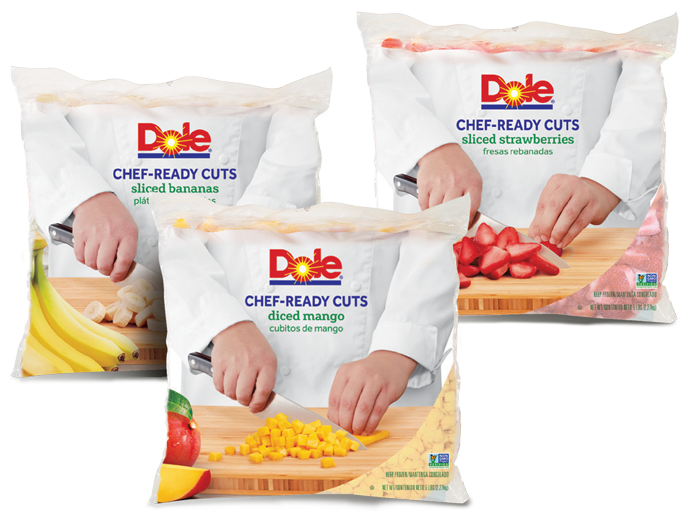 The beauty of street food lies in its mass appeal, so don’t hesitate to guide your customers towards new flavors by incorporating familiar elements, such as the popular fruit flavors of DOLE Chef-Ready Frozen Fruit Purées and Chef-Ready Cuts. From food trucks to full service restaurants, the street food trend can be found across many foodservice channels. 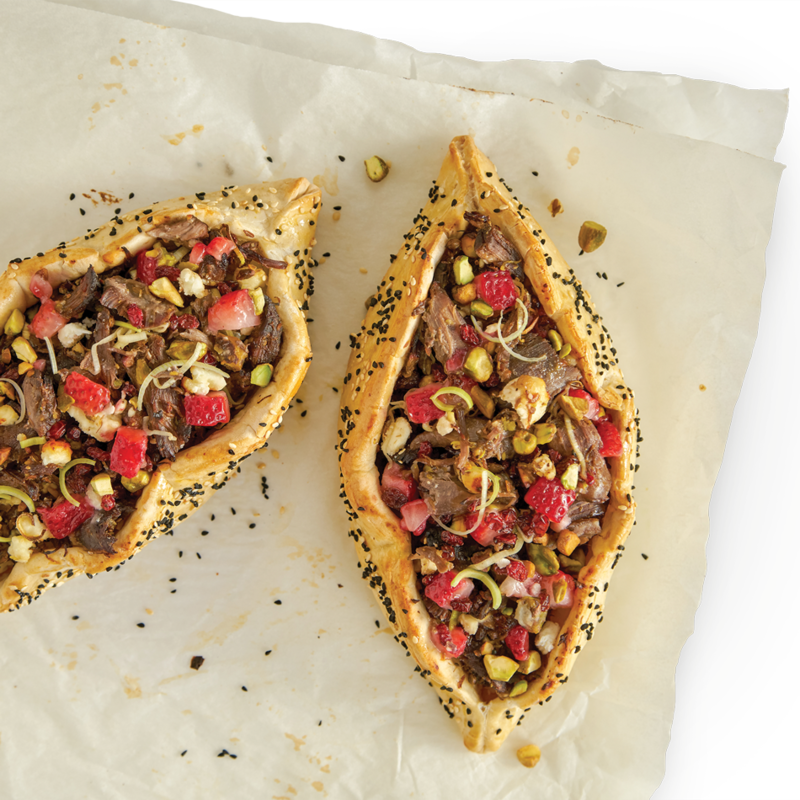 Here are some tasty and creative takes on globally inspired dishes with handheld appeal. 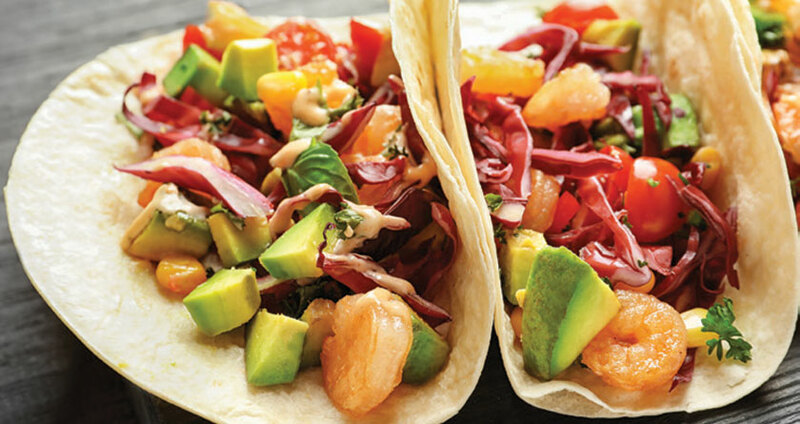 BLACKENED SHRIMP TACO: Filled with cabbage, cilantro, cumin crema, pico de gallo, guacamole, mango and papaya. 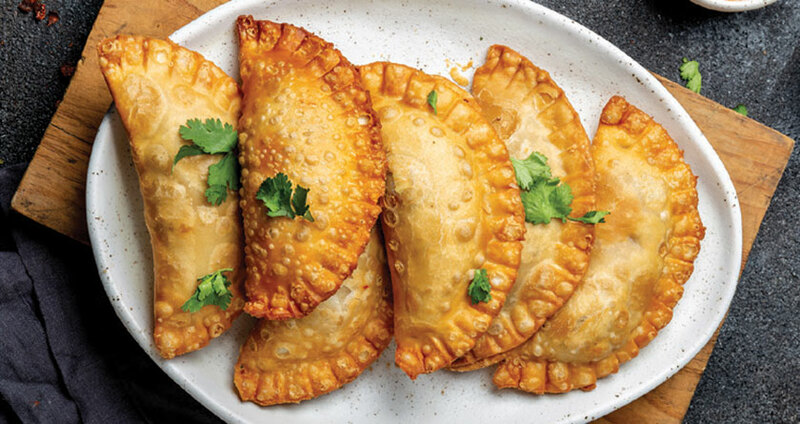 EMPANADAS: Fruit-forward varieties include blueberry, peach cobbler, mango ginger and pineapple cinnamon. 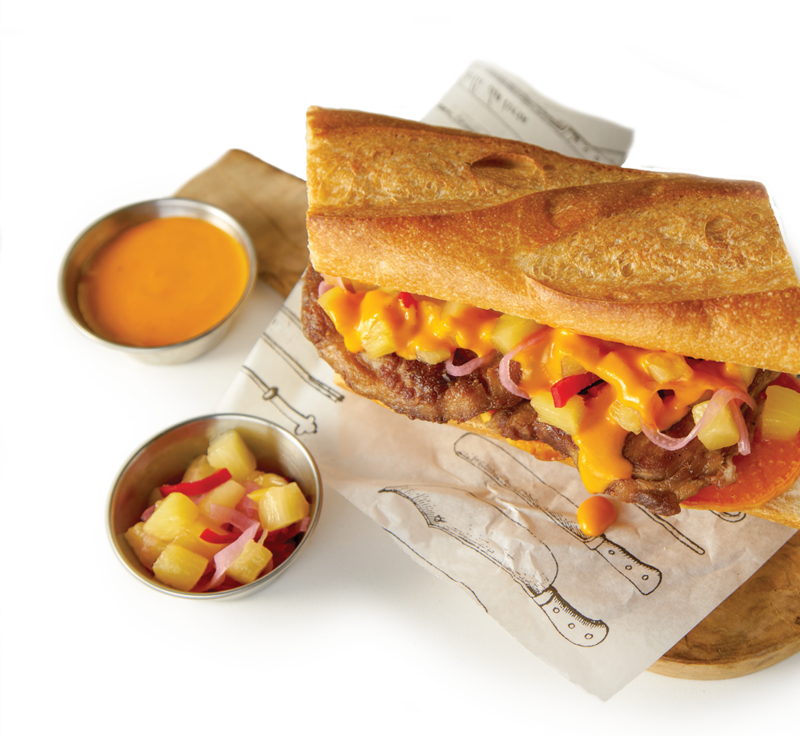 CHUTNEY: Customers can fill roti “burrotis” with their choice of protein, toppings and fruit chutneys such as peach-mango, green apple-coconut and cranberry-red chili. JUMBO LUAU JERK WINGS: Charbroiled Jamaican jerk-rubbed chicken wings on bamboo skewers with pineapple wedges, served with tropical slaw and creamy ginger dipping sauce. 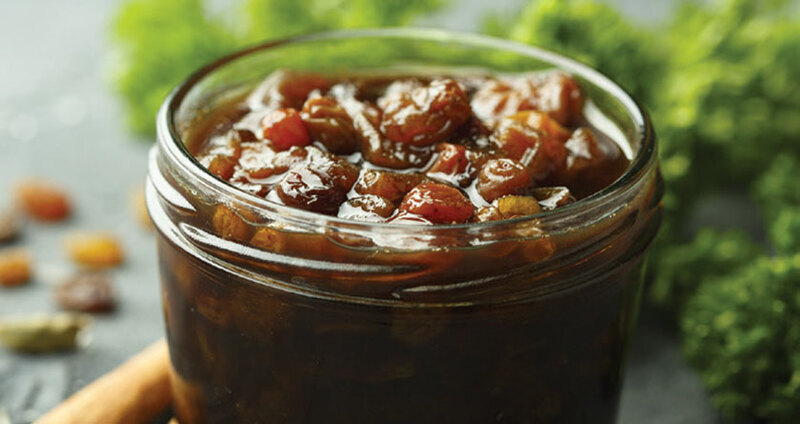 These versatile purées are made with quality fruit, ideal for creating consistent, memorable sauces, beverages and desserts. Perfectly sliced, cubed, slivered and diced fruit that delivers unbeatable time, labor and cost savings. 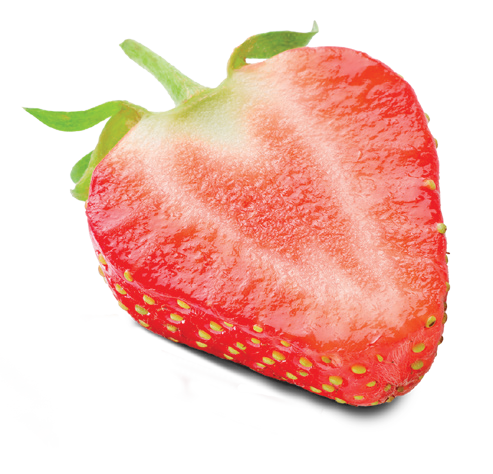 Add a burst of fruit flavor to the menu, whenever you need it.